Be effective communicators, ethical leaders, and innovative media practitioners. Develop competencies of critical thinking, problem solving, media and message design, oral performance, relational interaction, and cultural communication. 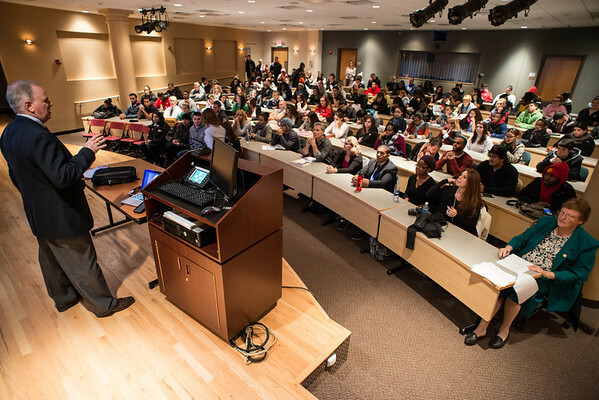 The Communication Studies program has a direct connection to other programs at the College including the Business, English, Criminal Justice, and Political Science programs. 1. Media Communication– including Introduction to New Media, Video Production, Communication Technology, Visual Communication, Journalism, Critical Analysis of the Media, Mass Communication, and more. 2. Organizational Communication and Leadership — including Business and Global Communication, Public Relations, Communicating Change, Crisis Communication, Leadership, and more. Communication Studies students also are allowed two additional elective courses within the major and are strongly encouraged to apply for an internship, as well as develop a minor in another academic area.